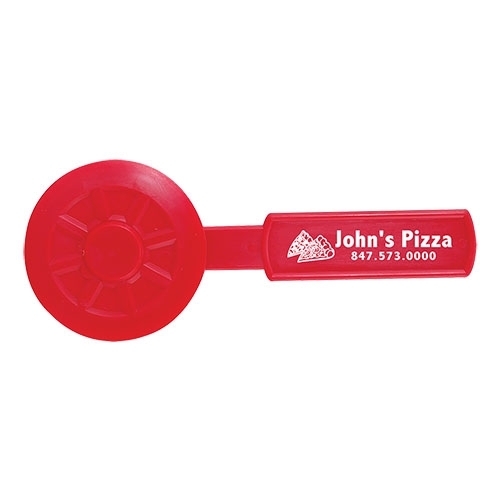 Hardwood handle is laser-engraved for the kitchen. 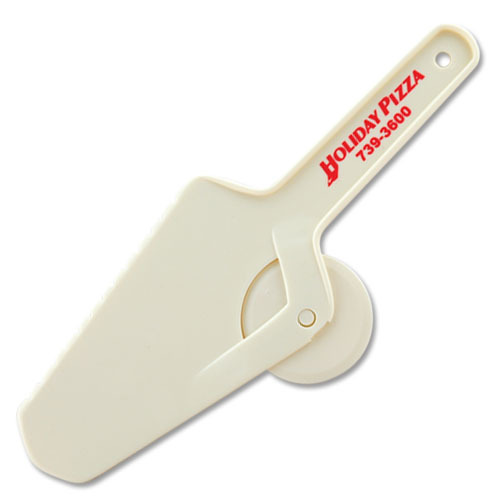 Gourmet bamboo pizza set incudes reversible pizza cutting board / cutting board, and stainless steel pizza cutter. 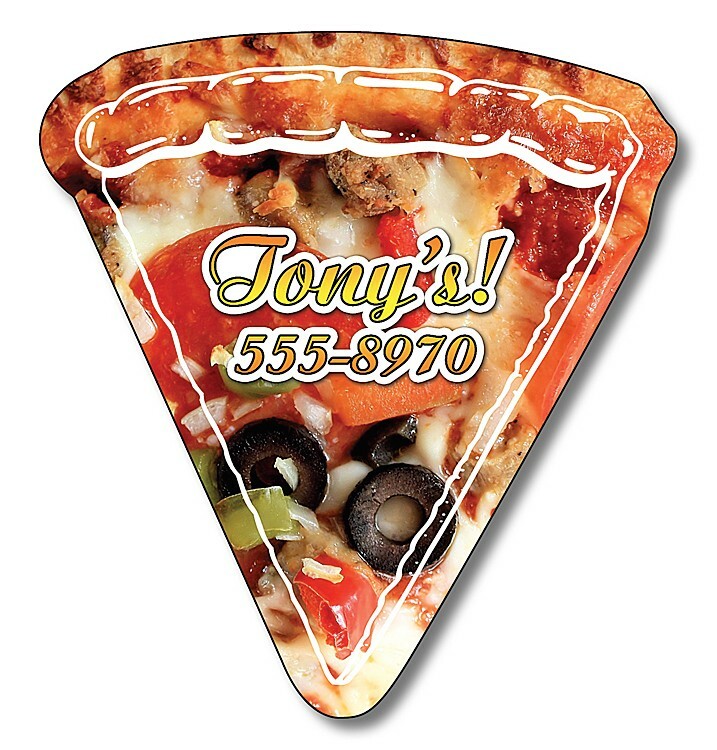 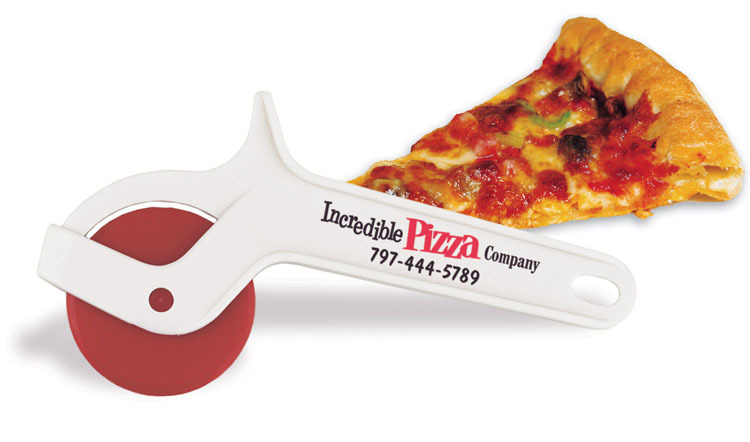 It is the HOTTEST retail kitchen pizza accessory, and it definitely keeps your pizzas hot. 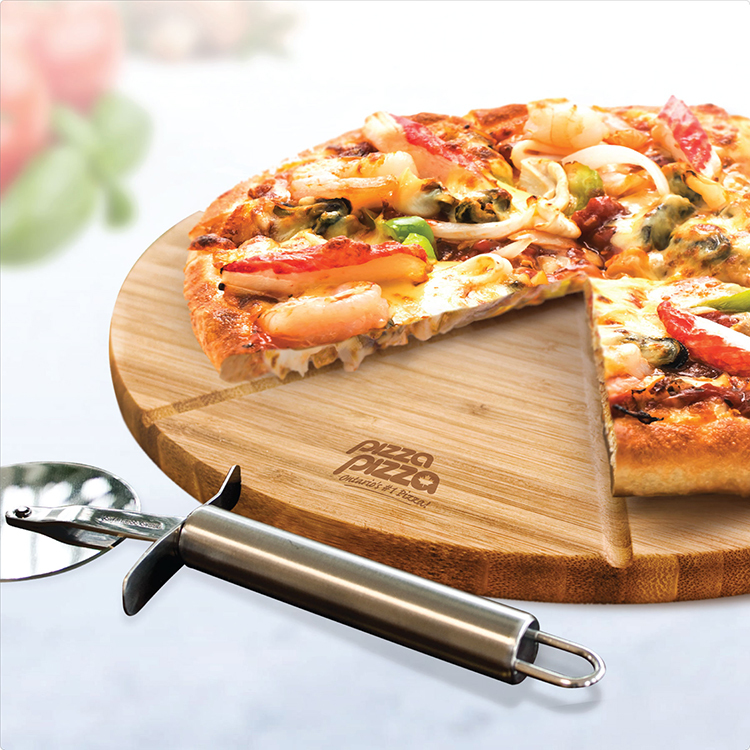 Designed after professional pizza cooking ovens, this miracle stone cooks your delicious meal thoroughly and evenly. 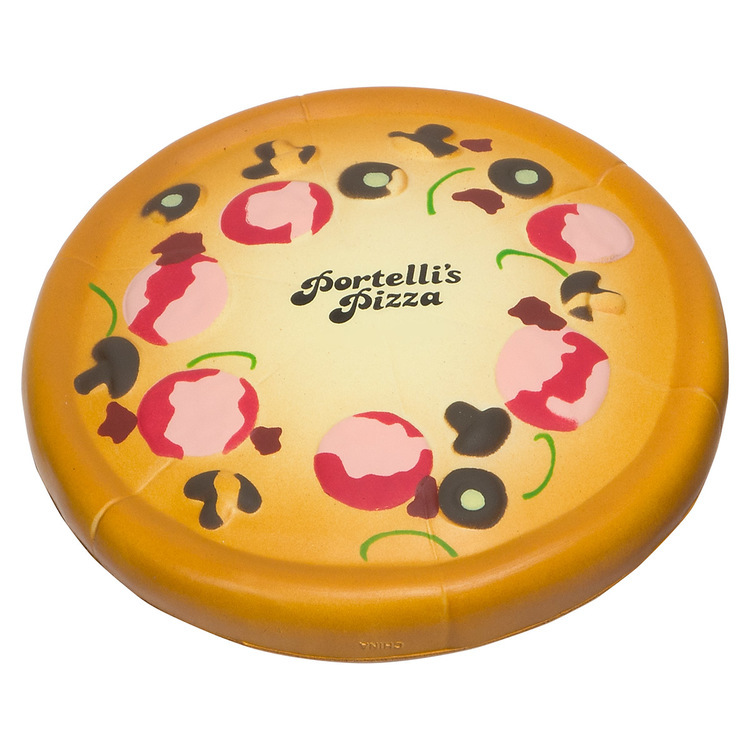 Packaged in a corrugated box. 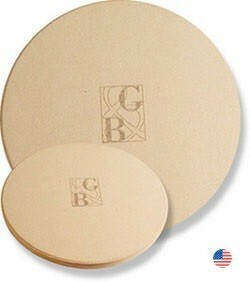 Note: This is a natural stone product and there will be slight imperfections due to the nature of the stone. 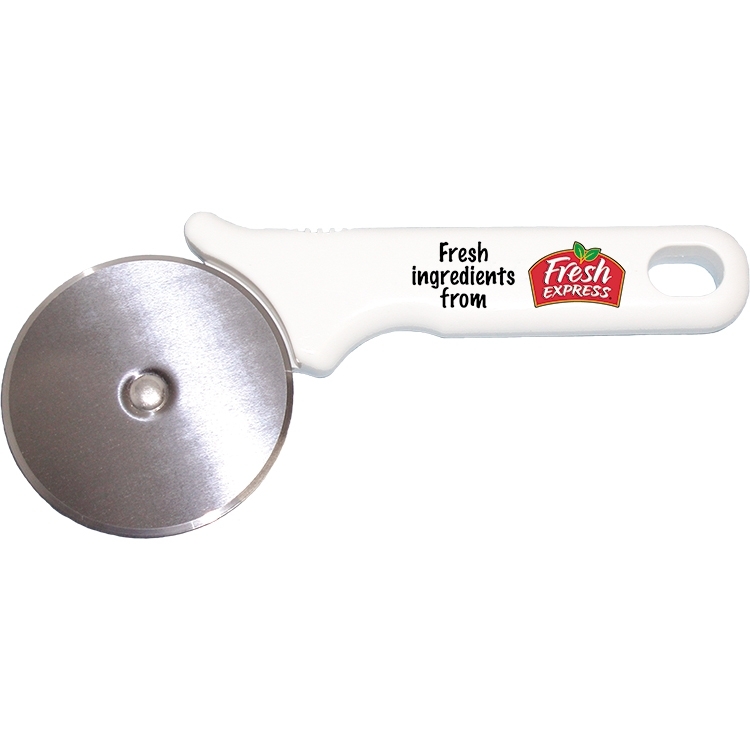 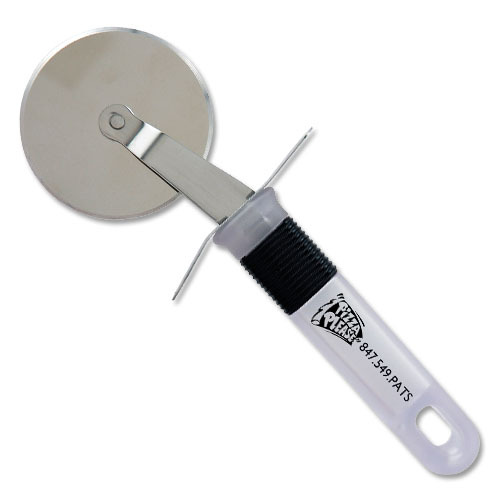 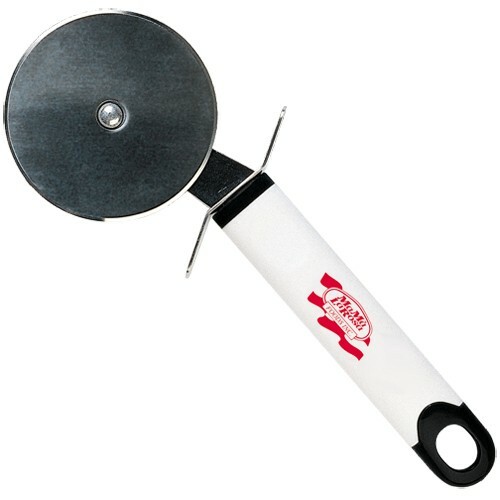 This pizza cutter has a heavy duty white plastic handle with 2-3/4" blade. 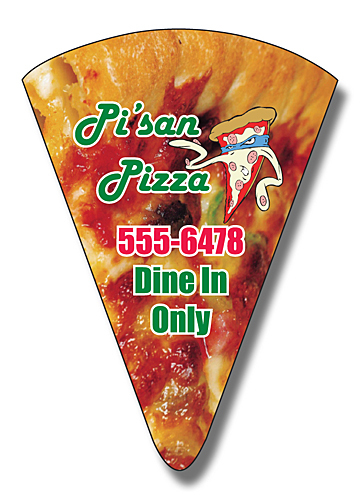 Includes full-color imprint.